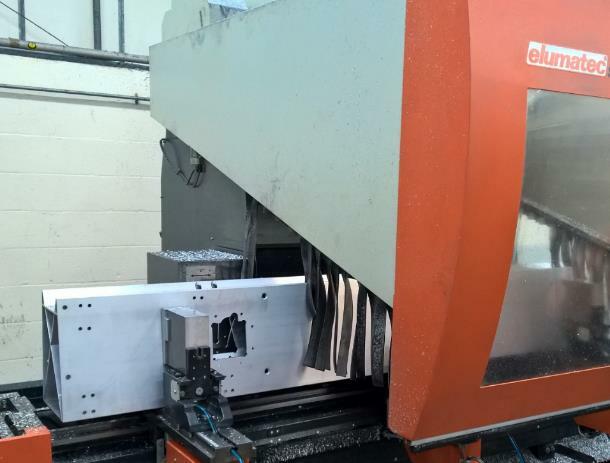 Simmal’s experts performed precision CNC machining for this client’s new aluminium profile. A new design of car chassis was brought to our technical team. The extruded profile to be used was to be approximately 320mm x 240mm with a 4mm wall thickness. Complex 5-axis machining was necessary to mount all components to extremely tight tolerances. Before our technical review of the product, the part was deemed too large by machining centre manufacturers and specialist CNC companies. Our highly experienced engineers worked with our CNC machining centre suppliers in both the UK and Germany and designed bespoke fixtures, clamps and software overrides and modifications to allow the part to be accurately loaded, held and machined to the customer’s requirement. The Simmal team used CNC machining to create an accurate and fit-for-purpose product. During the development phase, the customer made alterations to the drawings with more than eight revisions before committing to the final design, with each revision having First Article Inspections carried out. Our engineers worked closely with the customer’s design team to ensure modifications were implemented, documented, controlled and inspection results fed back to the customer on a part by part basis. In some instances, this occurred whilst the component was still on-machine in a live machining cycle to ensure the customer always had full design input throughout the prototyping stages.